Oil is one of the world’s largest consumed natural resources, and Latin America is trying to become a world leader in oil production. 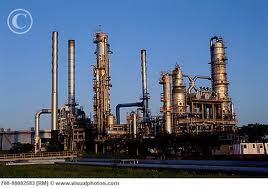 Currently Argentina, Brazil and Venezuela are producing the largest amounts of oil for the South American countries. 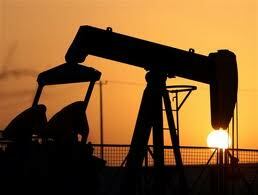 But with high gas prices and advancement in technology oil companies have discovered new ways to drill and refine oil. With the advancements in technology the oil companies have discovered a new off shore drilling spot in Brazil, along with a large potential for harvesting shale- gas. Shale gas is just another source of fuel. According to FoxBusiness, Argentina is ranked third in the world according to the U.S. Energy information Administration (EIA) with 774 trillion cubic feet for drilling potential for shale – gas. But according to some Venezuelan officials there is such an abundant oil supply already in Latin America that they feel they need to use what they have up before investing time and money to drill into shale- gas reserves. According to COHA, Venezuela boasts to have the largest oil reserves in the world. Petro`leos de Venezuela S.A. also known as (PDVSA) is a Venezuelan owned oil company which produced their large oil reserve. PDVSA accounts for 92 % of their nation’s income along with 1/3 of their gross domestic product (GDP). Currently Venezuela exports 43 % of its oil yields to the United States market by shipping the crude oil to refineries along the Gulf Coast region to be refined into the final end product. With the discovery of Brazil’s new off-shore drilling fields oil production is predicted to grow rapidly. According to Right Side News, “Brazil will become an oil power by the end of the decade, with production in line with that of Iran.” Because of Brazil’s new discoveries they are predicted to have oil production up to 5.5 million barrels per day (BPD) by 2020. Which is more than twice what Venezuela produces a day, currently Venezuela produces about 2.5 million barrels per day (BPD). Because of this discovery Brazil is building its first nuclear submarine to protect their new off-shore oil fields. With Brazil predicted to have oil production up to 5.5 million barrels a day and Venezuela boasting to have the largest oil reserves in the world along with producing 2.5 million barrels a day if not more the “Americas” when you throw in the United States and Canada’s oil production could be an energy force if they all grouped up. It would allow the “America’s “to be more self -sufficient and they would not have to import as much or if any from the Middle East or elsewhere. Theme: Connections by www.vanillamist.com. Theme pack from WPMUDEV by Incsub.